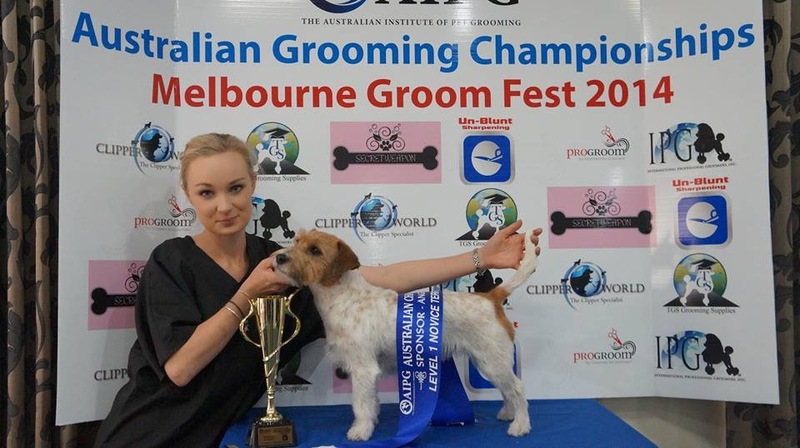 The latest in grooming competiton results, newspaper articles and more. 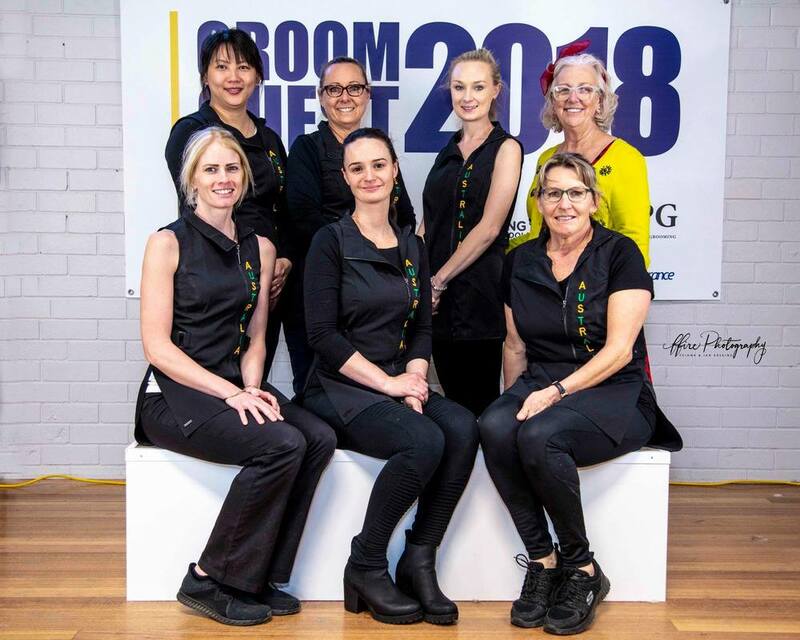 Tiarne is now a member of the australian groom team! After competing over two years earning points based on placings and rankings Tiarne tied 1st for a position on the team. The team will travel to France in 2020 to compete on the world stage and represent Australia! 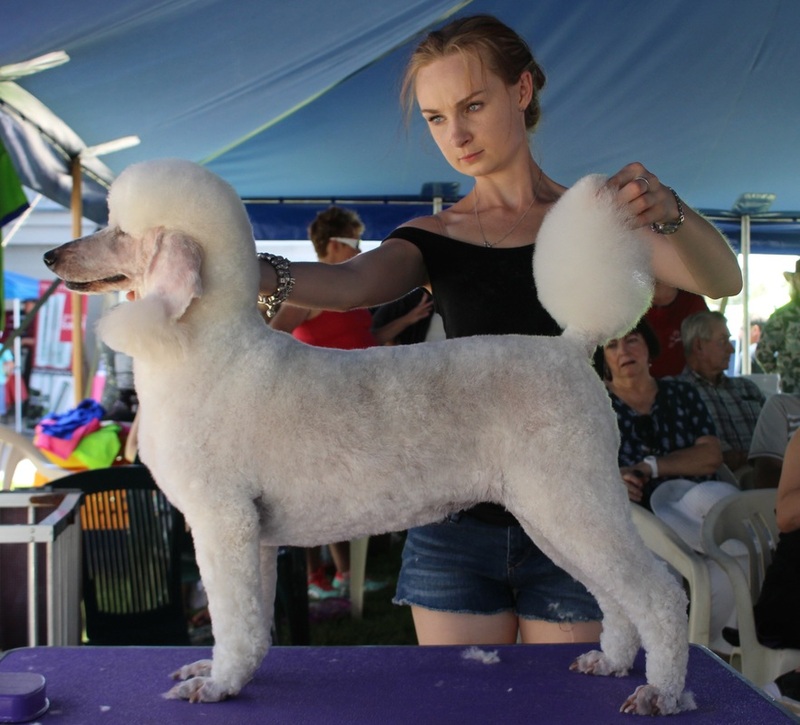 In April 2017 Tiarne competed at the Sydney Royal Easter Show Grooming Competition where she competed in 4 classes winning 1st in Master Gundog and BEST IN GROUP, 2nd Master Poodle and 2nd Master Terrier. 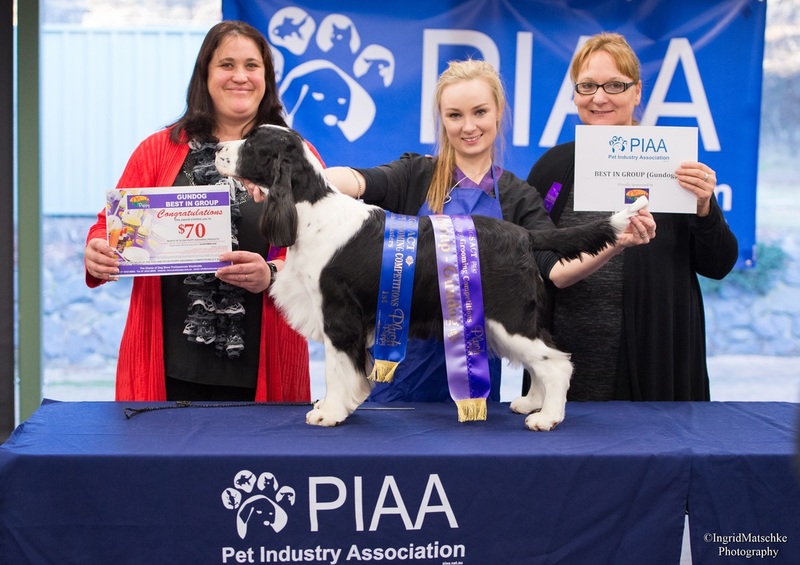 To top it off Tiarne also won Runner up Best In Show with her groom of Chloe the English Springer Spaniel. In March 2017 Tiarne attended GroomQuest, competing in 4, level 3 classes (top level). 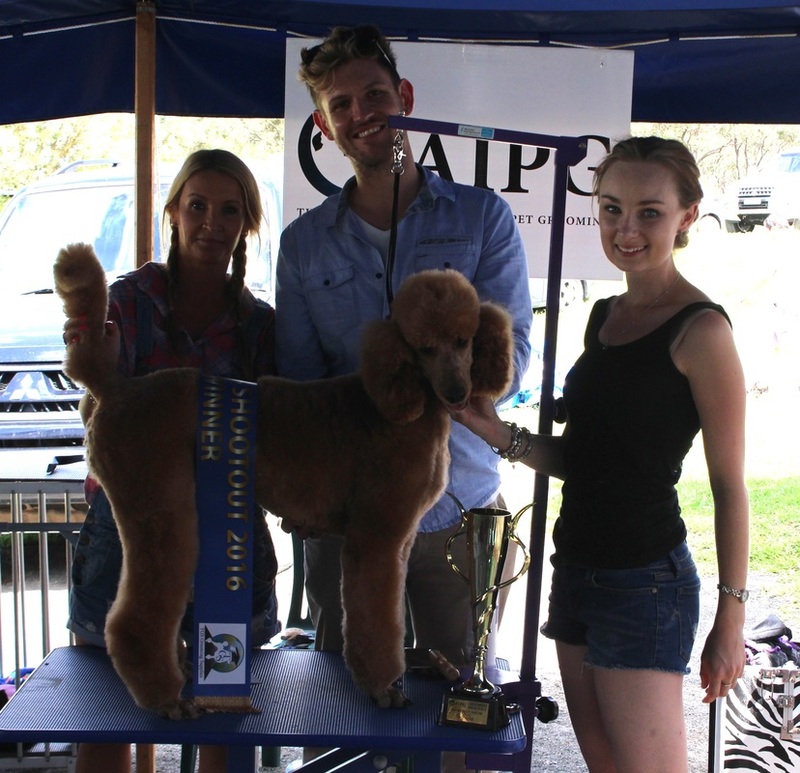 Tiarne gained some fantastic results taking out 2nd place in the Andis Poodle challenge, 2nd place in Terrier and more class, 3rd place in All Other Pure Breeds and 2nd place in Gundogs. 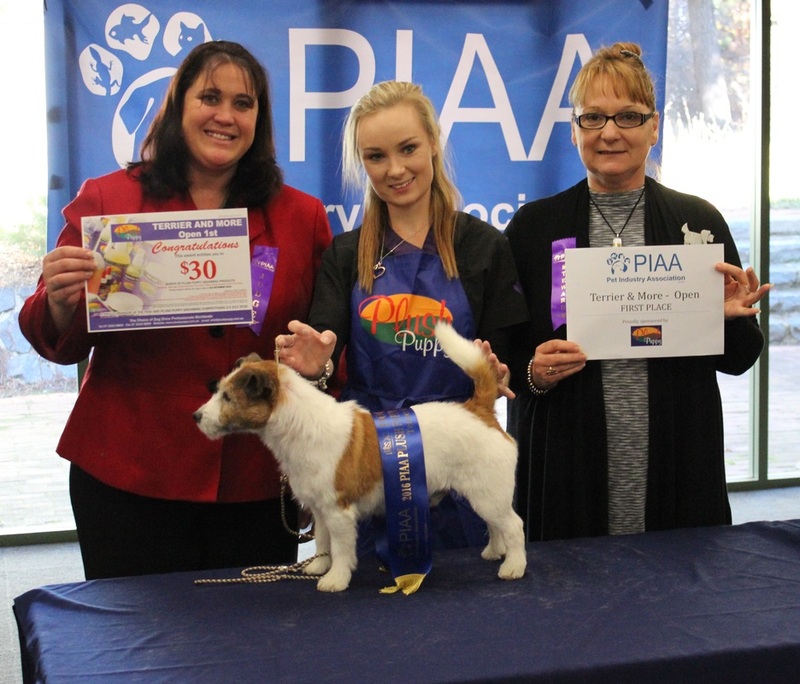 Tiarne was also crowned the overall level 3 Champion Groomer. 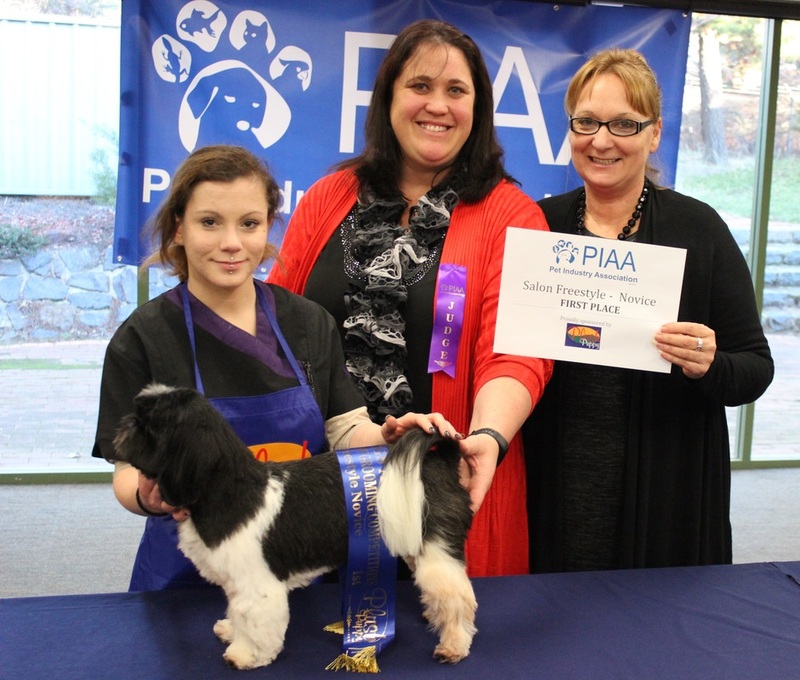 In July of 2016 Maddie and Tiarne attended the PIAA Plush Puppy Grooming Competition in Canberra. 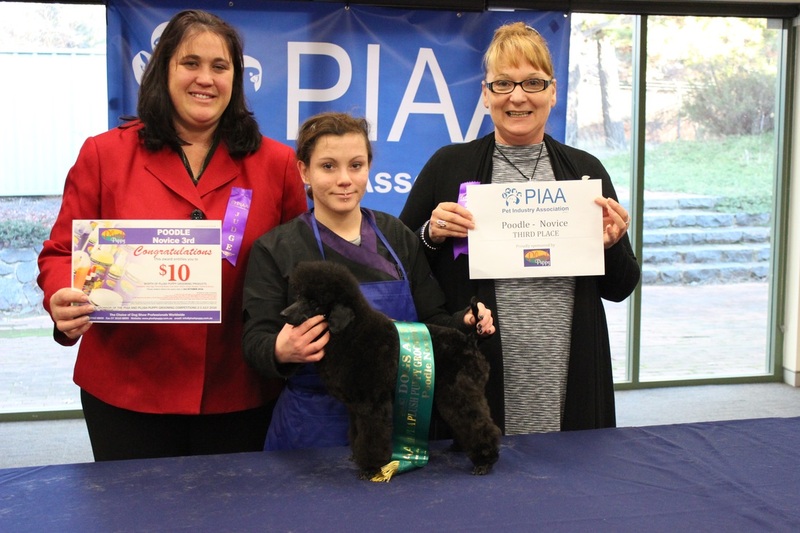 Tiarne took out the highest award of BEST IN SHOW with her groom of Kiss the Toy Poodle. Tiarne competed in three classes winning 1st master gundog, 1st open terrier and 1st open poodle and then went on to win Best In Group for all three classes and onto BEST IN SHOW. 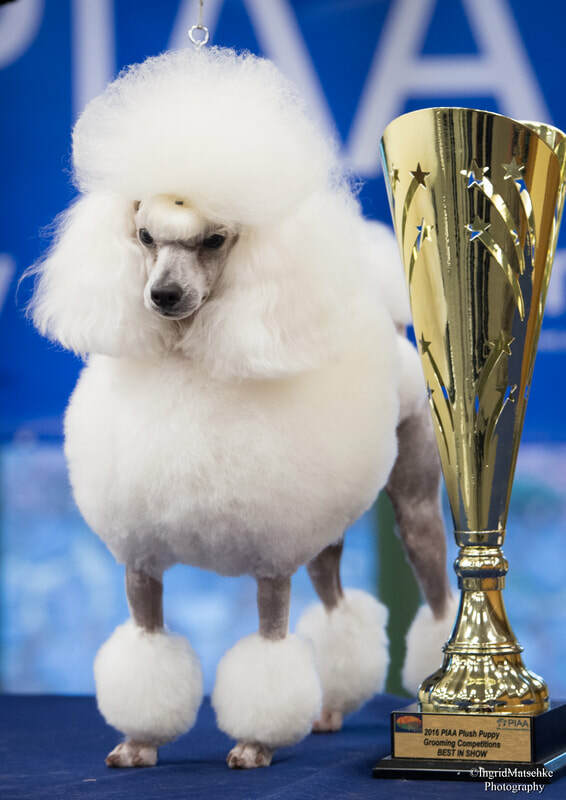 Maddie did an amazing job competing in three classes winning a 1st, 2nd and 3rd in novice freestyle, purebred and poodle class. 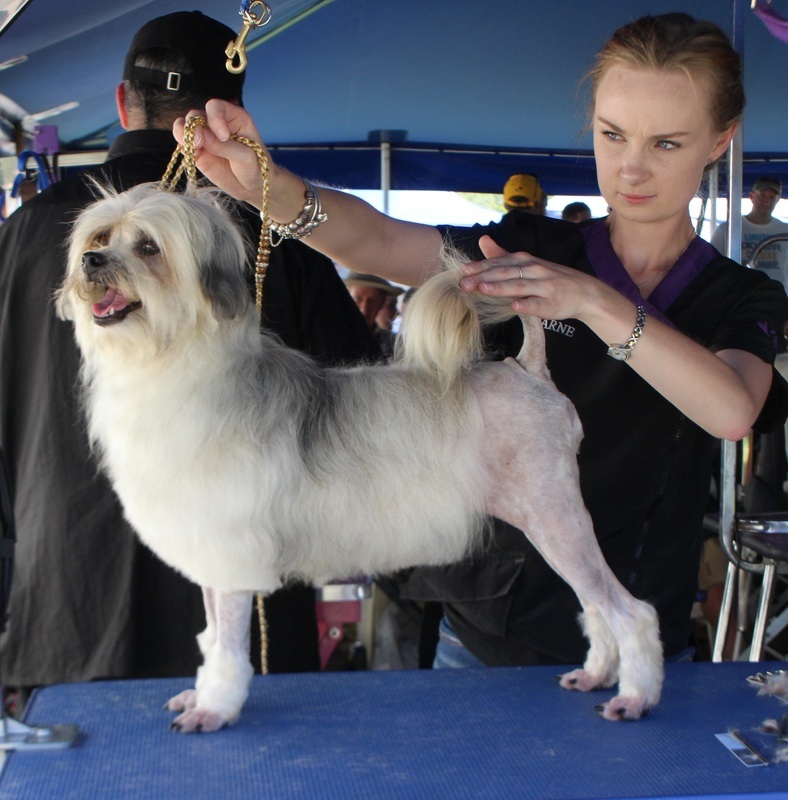 In June of 2016 Perky Pooches competed at Aus Groom. 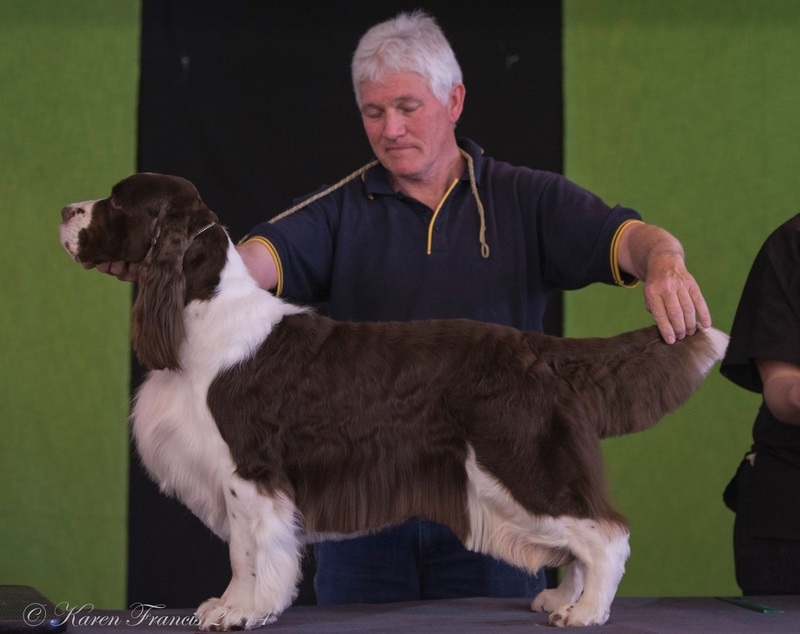 Tiarne won the Master Gundog class with Bond the English Springer and went on to win Best In Gundog Group. 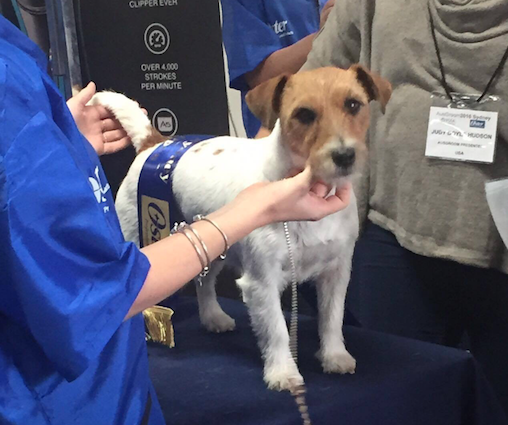 (Best of all gundog groomers) Tiarne also won the Open Terrier class with Mystics the Jack Russell. Maddie did a fabulous job with Billy winning 3rd place in Novice Freestyle. 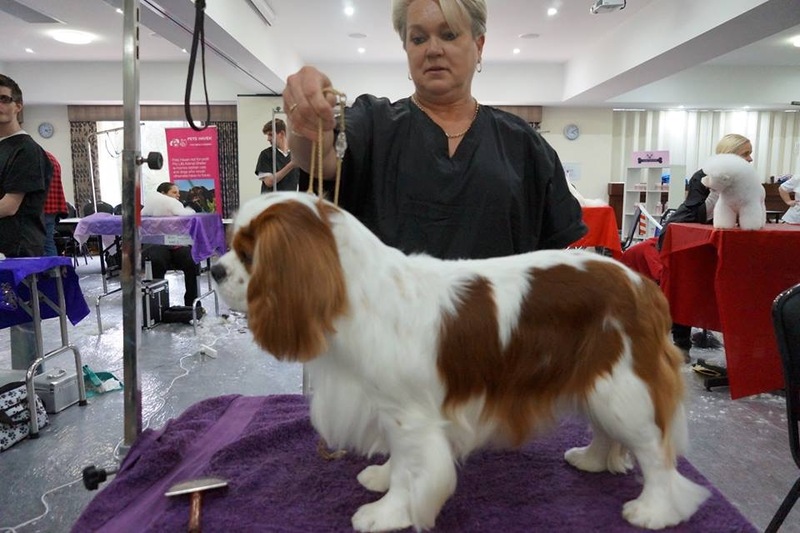 In April of 2016 Perky Pooches attended the 2016 Sydney Royal Easter Show Grooming Competition. 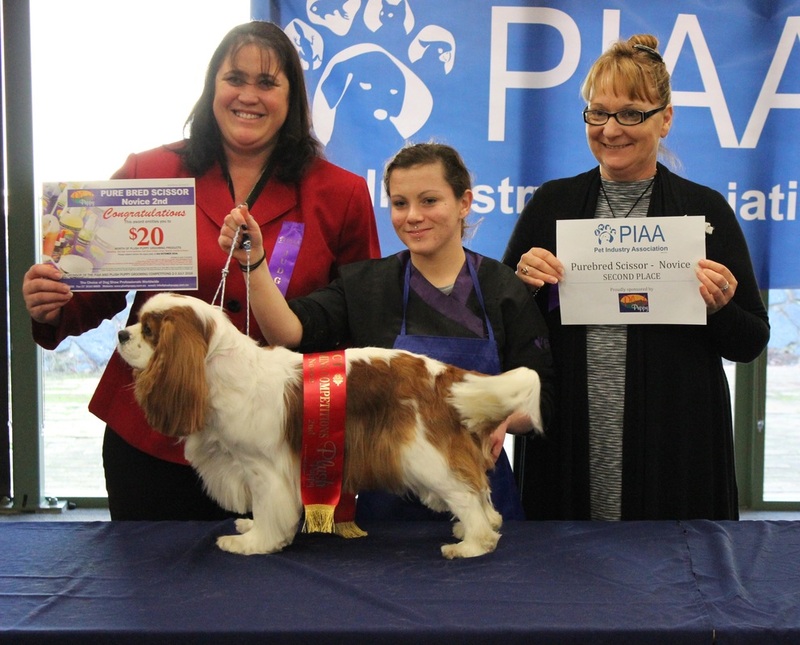 Perky Pooches competed in 4 classes winning two 1st and a 2nd place. 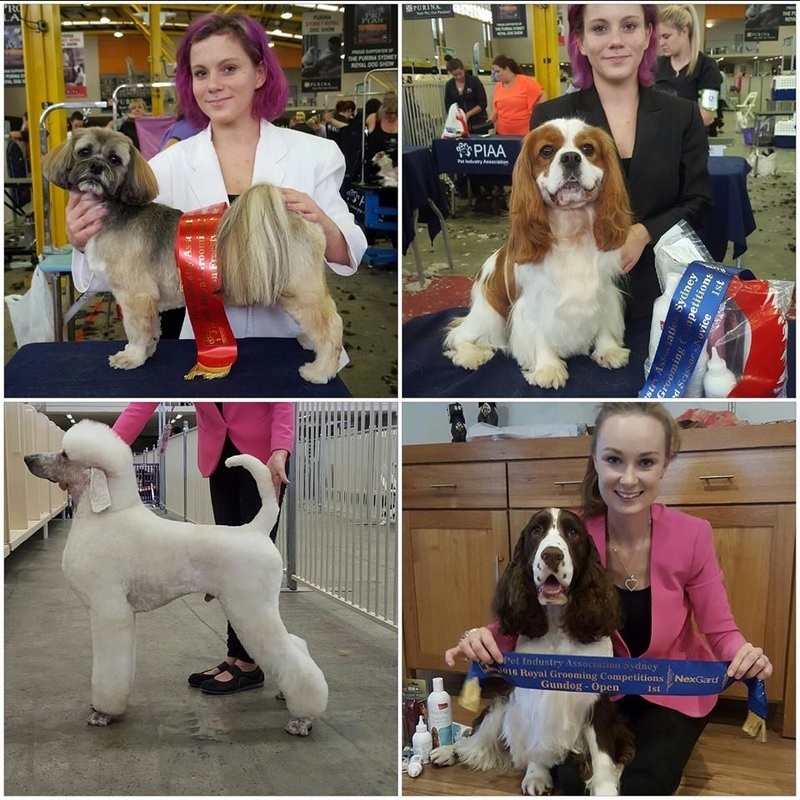 This was Maddies first grooming competition and after only completing full grooms for the past month and a half she placed 1st in Purebred novice and 2nd in Salon freestyle novice and Tiarne won a very competitive Gundog class open. ​On Sunday, 31st Jan 2016 Maddie, Kim and Tiarne left for Morriset at 4am to compete in the 2016 groomers shoot out. The groomers shootout consists of rescue dogs that are looking for new homes, groomers draw a dog out of a hat to compete with in knock out rounds. 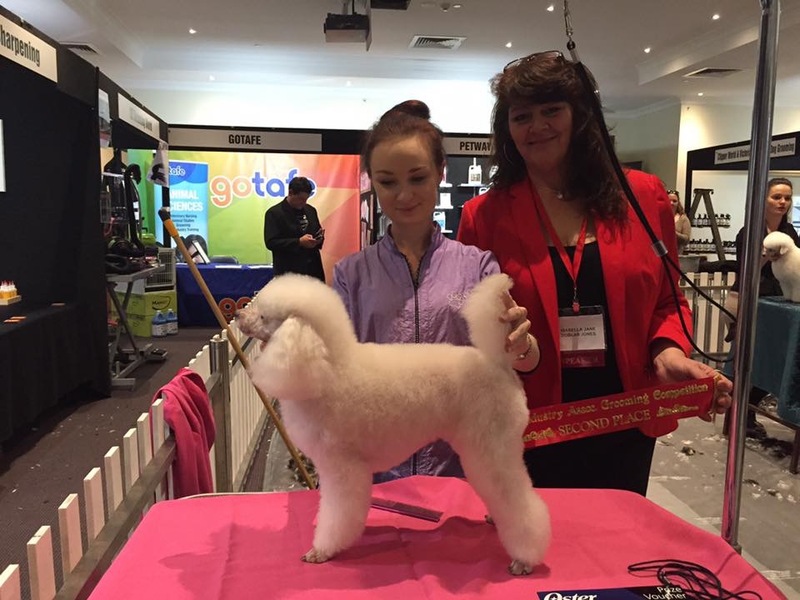 Tiarne made it through the 1st round moving onto the semi finals grooming a Lowchan, she then made it throuhg to finals with the help of a mini poodle! For the final round Tiarne drew Lilly the red standard and was given an hour to groom her!!! Although slightly nervous Lilly didn't disappoint and Tiarne was awarded the WINNER of the 2016 groomers shootout! Perky Pooches is proud to have been a part of such a worthy cause and assisting in the rehoming of these beautiful dogs. Most importantly both poodles have found wonderful homes and we are sure our Lowchen friend will do aswell! 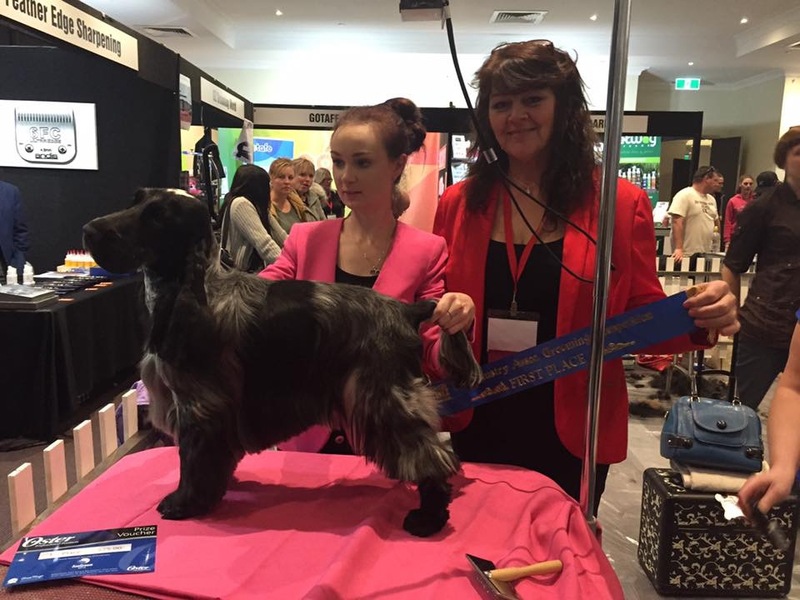 ​In June of 2015 Tiarne traveled to Melbourne to compete in another grooming competition winning first place with Spotty Dog the Cocker Spaniel in the Gundog grooming comp under international judge Isabella Jane Doblas Jones. 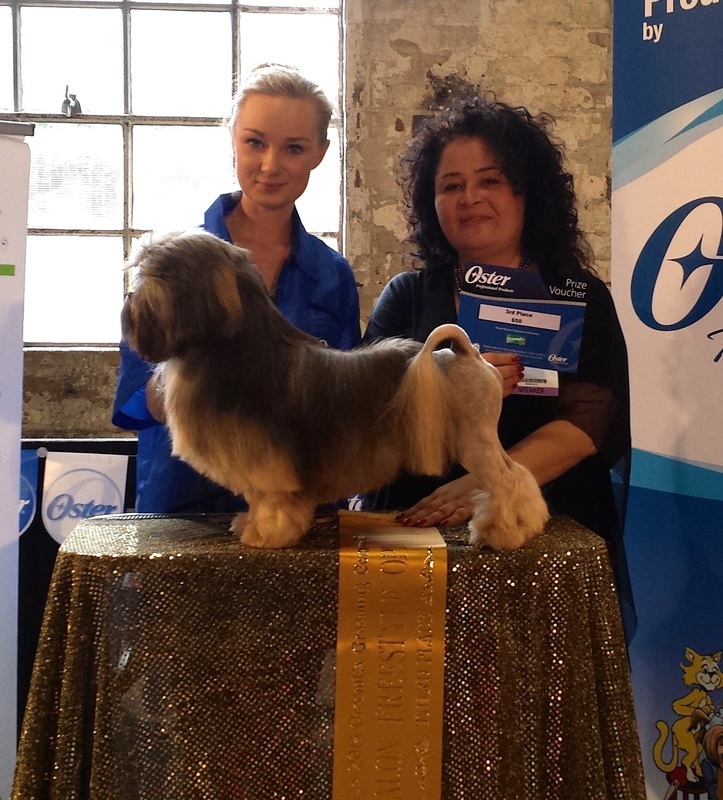 ​The second weekend in October 2014 Tiarne competed in yet another grooming competition. 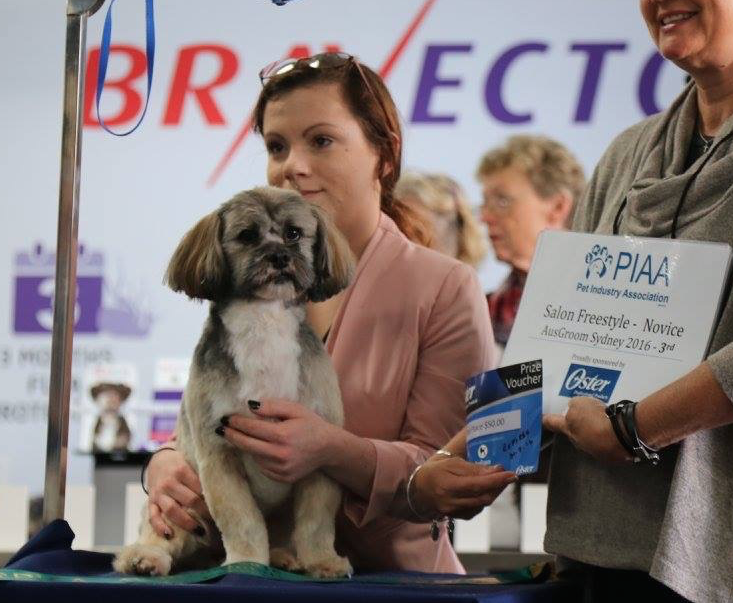 Tiarne placed 3rd of 10 with Billy the Lhasa Apso who she turned into a Lowchen in the salon free style class and 2nd in the Terrier hand strip class with Killalea the Jack Russell. 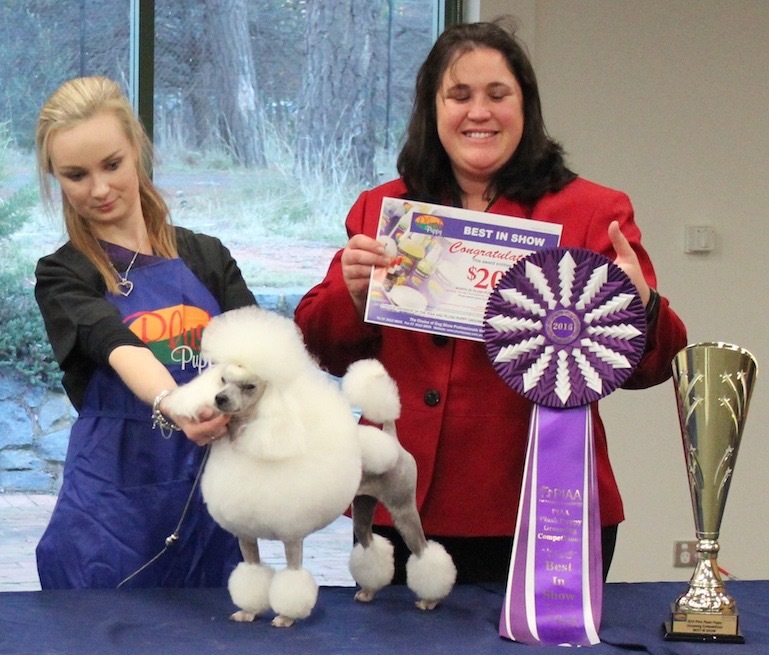 ​Tiarne also won second place in the poodle grooming competition under international judge Isabella Jane Doblas Jones. 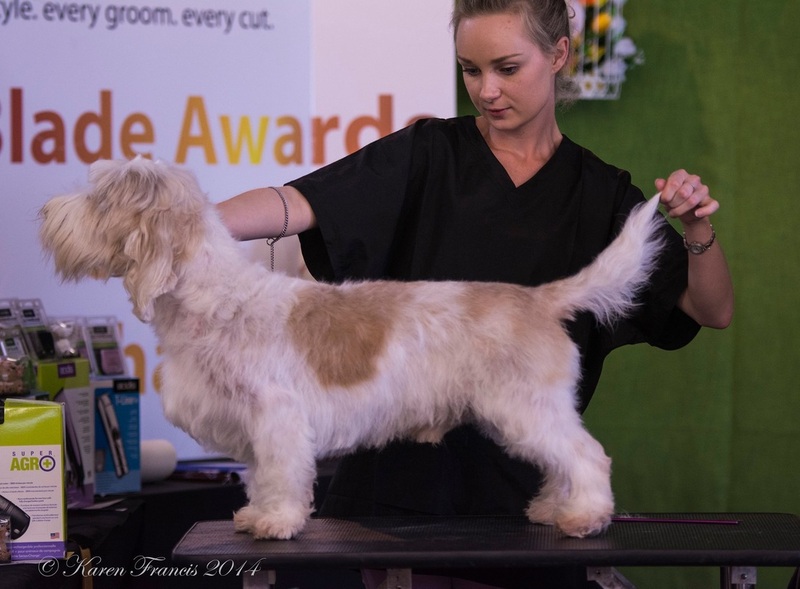 ​In October 2014 Tiarne competed at the 2014 GroomQuest grooming competition in three classes placing 1st in terrier and more with the PBGV Hamish (dog on the left), 1st with the ESS Dexter (dog on the right) and 3rd with a toy poodle named Shabu! Thanks to Robert from Azucroft English Springer Spaniels for stepping in as a handler for Dexter for the best in level! 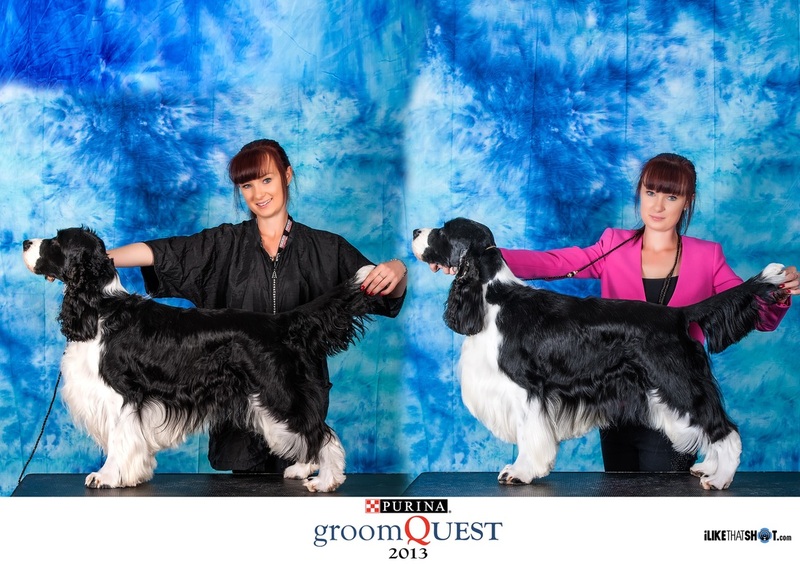 ​On Sunday the 1st of September 2013 Tiarne competed in her 2nd grooming competition winning first place in the level 1 gundog/sporting group at the prestigious Purina GroomQuest competition. 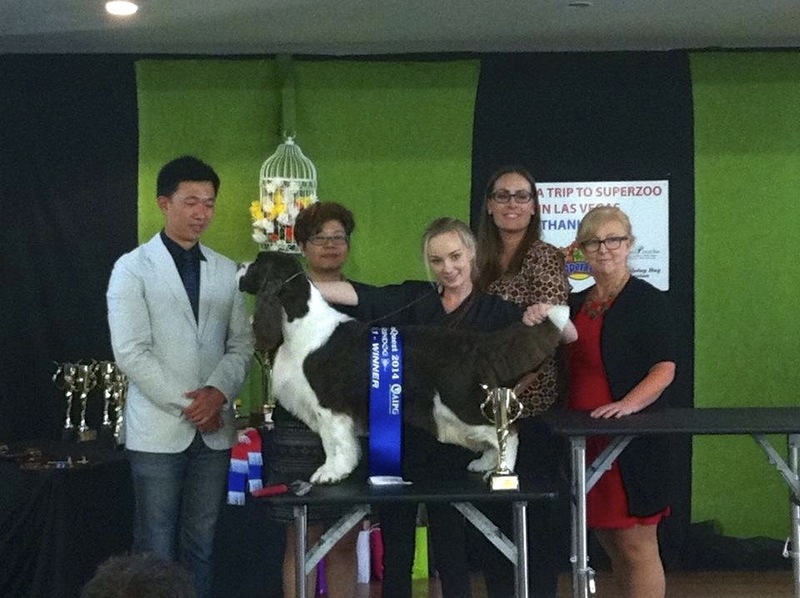 Tiarne also became a certified gundog/sporting groomer through IPG and attened a number of Australian groom team seminars as well as a creative grooming seminar presented by the world famous Sathit Suratphiphit from Starwood Arts of Dog Grooming School (Thailand). A big thank you to the Lauders of Azucroft and Azudance English Springer Spaniels for allowing Tiarne to use the stunning Webster. 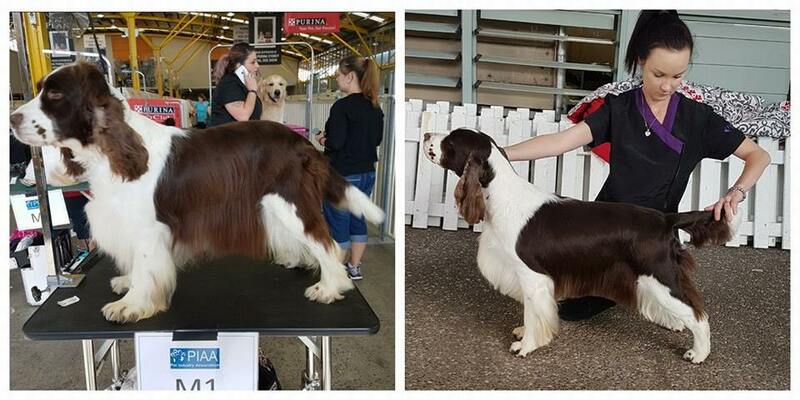 ​​In June of 2013 Tiarne competed in her first ever grooming competition in the open gundog class. 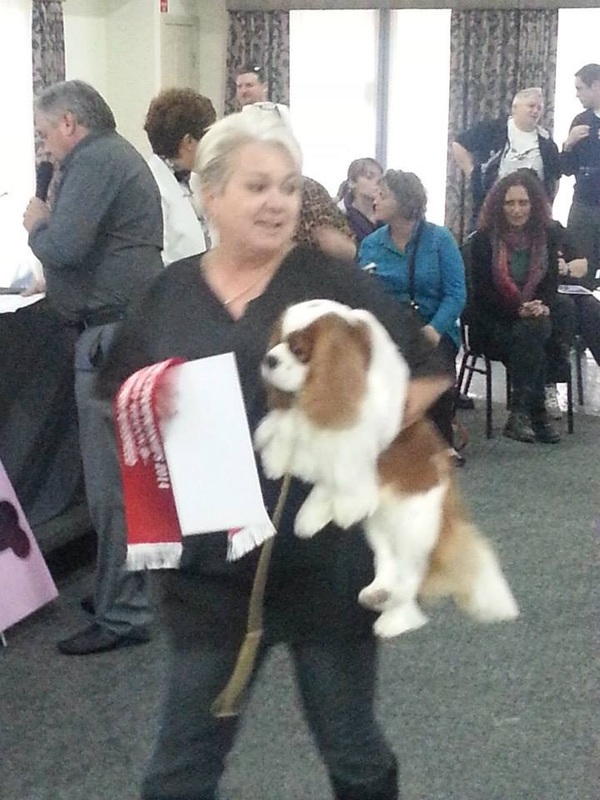 Tiarne groomed the lovely Kakoa and was awarded first place! Many thanks to the Lauders of Azucroft and Azudance English Springer Spaniels for allowing Kakoa to gain 6 weeks of coat growth and allowing her to be used.